If you are not already using chatbots in your ecommerce marketing strategy, now is a good time to start thinking of incorporating this useful AI tool. Acting as a way for customers to get help instantly, chatbots are certainly useful from a customer service point of view. Their uses and benefits go far further, however. Chatbots, and AI, in general, have begun to change the digital marketing landscape as we know it, offering a far greater user experience than ever before. Even a decade ago, interaction was limited to social media, email messaging, mobile messaging, and content comments. The user journey was often affected as a result. Customers searching for products had to make do with outdated search tools or manually wade through category pages to try and find what they were looking for, rather than find it instantly with the help of an easily accessed chat tool. As ecommerce marketing evolves, the way that customers interact with ecommerce brands also evolves. Today, these interactions have become almost effortless. Used in conjunction with a multi-channel ecommerce marketing strategy, how can chatbots help you deepen the customer experience? Is it really worth considering chatbots for your store or are they a bit of a hype? What else should you know about chat tools? Keep reading to find out just how much value these tools have to offer your online store. One of the best-known advantages of chatbots is enhanced customer service. The primary goal of your business is to keep your customers happy. That means providing them with the best possible service, anytime they need help. It’s not always easy to respond to customer queries individually, let alone personally. If a possible customer is visiting your shop in the early hours of the morning and needs help, there is unlikely to be anyone on call to help. There will, however, be an automated helper if you make use of chatbots. This will allow customers to get the help they need at any time, without having to wait. A chatbot might be able to answer questions relating on where to find specific products, for example, or it may show customers what sizes are available or what colours are available. It may show similar products or answer queries on pricing, delivery or availability. Another way that chatbots help your online store is by reducing cart abandonment. The majority of carts are not abandoned because customers no longer want your products. Common reasons include anything from a complicated checkout process to a lack of support, poor design, hidden costs, and various other factors. Making use of this to nurture leads is essential. With automated chat tools, you can help to remind customers that they have items in their cart. You can also make the purchase easier to complete, assist with any last minute questions or concerns, and further help to complete the purchase. You can also use chatbots to upsell and cross-sell. Once customers have made their purchase, there is a very good chance that they may want to make an additional purchase – either something similar to the product they have purchased or something that can be used alongside their purchase. For example, a customer who has purchased a baby pram may also be interested in buying a car seat or a high chair. Chatbots can help by sending customers personalised offers at the right time when customers are primed to purchase. Chatbots are also a great tool for lead generation. They can be used across multiple platforms, from social media to your online store. Once purchases have been made or items have been added to carts, chatbots can be used to send invoices directly to customers. This acts as a faster alternative to email, while also helping to establish the customer as a verified lead. This type of lead nurturing is instant and high on the engaging front, too. Gone are the days of customers having to search using phrases or words. Today, AI tools are easily able to detect language and speech patterns to assist customers in finding what they are searching for through voice search. Bringing up relevant results using the data that is available, chat tools also show content that has also been searched for by other customers. AI can also analyse images as well as text, with some of the newer tools able to use images to find similar products. Needless to say, this offers a powerful advantage to online stores as it makes it easier for customers to shop. Customer experience requires a high level of engagement, especially in the ecommerce marketing environment. Without customer service, you will battle to develop a loyal following, let alone increase sales. If there is no good reason for customers to visit your store and spend money on purchases, they will go somewhere else to shop instead. Providing an experience that begins from the moment the customer arrives at your store to the moment they finalise their purchase is vital. 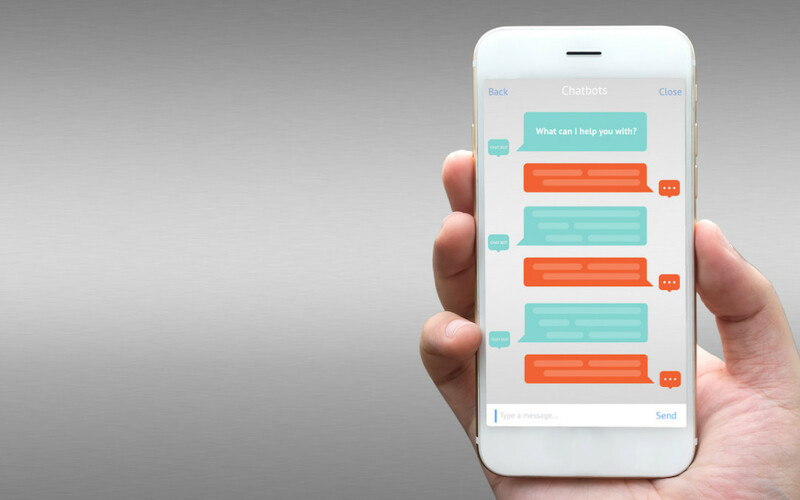 Chatbots help to improve the customer experience by comparing prices of products, showing customers similar items, answering questions, assisting customers who are not sure what they want to buy, helping those who have a clear idea of what they want but don’t know where to find it, and assisting in all other areas of the purchase. Finally, there is no doubt that chatbots offer an invaluable tool for customer retention. Compared to the messaging tools of the past, there is no need for installation or registration and customers can easily use them in real-time, any time of day or night. The average customer uses a number of chat tools each week for work, shopping, keeping in touch with friends, and various other purposes. Virtual assistants and other tools offer a way for customers to find the help they need in a way that is easy and fast. When customers have a way to always reach your store, the result is a high level of trust, recognition, reputation, and brand loyalty. Whether you are battling to see any conversion, you keep wondering why your customers are abandoning their carts before finalising their purchase or you are struggling with customer retention, having the right tools plays a big part in your success. Many online stores make the assumption that once their store is set up, they no longer have to worry about anything else. Without the right tools, it can be difficult to maintain your sales levels. A lack of tools can also impact you in other ways, making it harder to build your brand. Incorporating chatbots into your strategy is an excellent way to get more from your digital marketing efforts. Thanks to the constant advancements in AI and other technology, keeping your customers happy around the clock has never been easier. It does not take a huge deal of cost, time or effort to see the benefit of these tools, either. Add chatbots to your ecommerce marketing strategy and you will soon see just how much value they have to offer your store.